This three bedroom ready to move in villa is located only 2 minutes walk to the Mediterranean Sea. The new owners of the villa will be able to enjoy the views from 25 sqm terrace that comes with this villa. 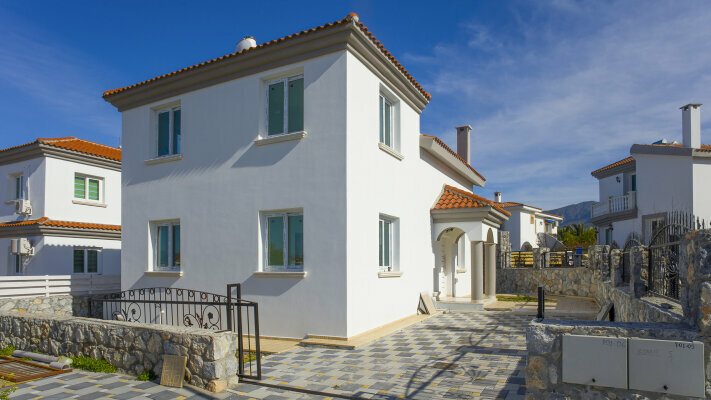 this villa is an ideal solution for family holidays as well as permanent living. 140 sqm closed area, 25 sqm terrace, 390 sqm land plot and has 3 bedrooms, 2 WCs and a spacious living room with a fireplace. Villa is located 2 minutes walking distance to the Mediterranean Sea and 10 minute drive to the mountains. Fresh air, sunny weather almost all year round, outstanding nature. Another advantage of this villa that it is close to Kyrenia - one of the most beautiful cities of the Northern Cyprus.